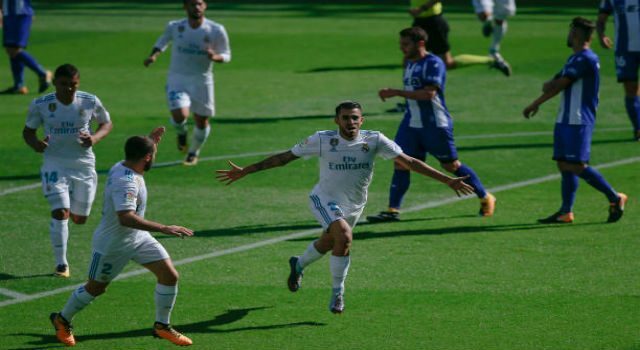 Real Madrid won 1-2 in the 6th week of the regular season against Alavés at Mendizorroza in a very tough game where Dani Ceballos scored a doubled in his first big a appearance with Real Madrid shirt in La Liga. 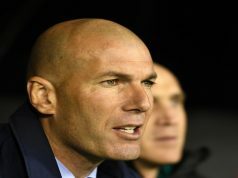 Zinedine Zidane decided to do many changes in the starting 11 respect last match thinking in the Champions League clash against Borussia Dortmund. 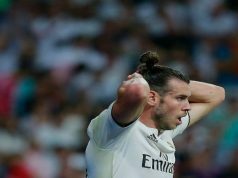 The French manager introduced Ceballos for first time in a line up and he also decided to give rest to Modric and Gareth Bale. Nacho was the player who had to play in Theo and Marcelo position, while Lucas Vázquez completed the attack with Asensio and Cristiano Ronaldo. The game started with Real Madrid having the ball possession but without creating danger and Alavés defending in their own pitch looking for a counter attack. In the 10th minutes Los Blancos couldn’t receive better news. Dani Ceballos opened the score board with a a good play from a pass of Marco Asensio. The Andalusian player saw the net in his first game playing from the beginning, proving that he can be a very important player during the season. After this goal, Alavés seemed a bit in shock because the team managed by Zidane was growing with the pass of the minutes, with Isco, Asensio and Ceballos being the players who guided the team. It looked like Los Blancos were going to score the second one, but suddenly in the 39th minute, Alavés tied the game with great header of Manu García, unstoppable for Keylor Navas. Only two minutes later, Los blancos couldn’t have a better reaction. Dani Ceballos saw the net for second time in the game completing an amazing first half. The second half started with a clear chance of Cristiano Ronaldo after a brilliant cross of Carvajal, but the Portuguese shot finished wide of the post. With Alavés attacking more, Los Blancos were controlling the game and having clear chances to open the gap. In fact, in the 54th minute Varane chipped a gorgeous ball to Isco, and with Cristiano Ronaldo absolutely free for a tap in next to him, the Spaniard player maker decided to shoot and Pacheco saved it. The Portuguese striker also had a great opportunity to score the third one but after a great play, but the ball finished in the post with the desperation of Cristiano that wanted to see his name in the scoresheet. In the 71st minute Zinedine Zidane decided to do his first change replacing the MVP of the game, Dani Ceballos, by Marcos Llorente who received a huge round of applause after playing with the Basque side last season. 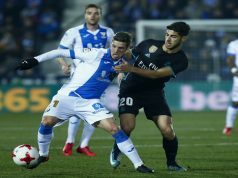 In the 75th minute Alavés almost tied the game after a Real Madrid defensive mistake that Pedraza took advantage of it, but the ball finished for second time in the post. In the last ten minutes Alavés looked a bit disorganized because they had to risk and look for a goal because there was not many time left. In the injury time, Mayoral replaced Isco in a game where the Andalusian player shined once again. Finally, the match finished 1-2 and Real Madrid achieved three very important points. Now the team managed by Zidane must focus in the Champions League clash against Borussia Dortmund in a very tough stadium as Signal Idun Park where Los Blancos tied last year (2-2).